Global e-commerce is not only establishing itself, but it’s also booming. Consumers are increasingly buying online and are increasingly attracted to foreign brands and retailers. Better deals and a wider choice of products are just a click away. Cross-border e-commerce is therefore currently a great opportunity for brands and retailers looking for growth. But how can companies ensure a successful entry into international retail? 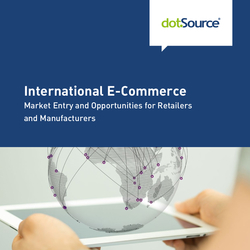 Our new white paper »International E-Commerce« has the answers. Consumers are buying and investing more and more money online. In recent years, the trend is rising and an end to this growth is not expected for the time being. International e-commerce is one of the fastest growing markets in recent years. This development has inspired many companies to take the leap across borders. China, whose rising middle class has a high willingness to buy and whose spending on Western products pushes up cross-border goods spending, has contributed to this growth. According to eMarketer, total cross-border e-commerce sales rose by just under 28 per cent from 2016 to 2017. China is the benchmark in international e-commerce. Our white paper specifically shows why China is the digital leader. Neighbouring countries are just as attractive as the Asian giant: 61 per cent of purchases in Switzerland in 2016 and 47 per cent in Austria were cross-border. In addition, the European Commission has been using concrete measures to promote international e-commerce within Europe in recent years. The “where” is very important, but much more decisive is the “how”. 72 per cent of online shoppers who order overseas prefer to pay in their own currency. In the same way, foreign online shops, that are not available in the local language, enjoy little popularity. Because a consumer won’t buy something if they don’t understand. 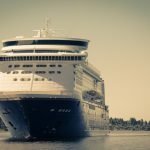 On the way to successful globalisation, it’s important to take country-specific challenges into account such as language, currency, payment methods, customs costs, lack of a uniform legal framework, and much more. But these hurdles are surmountable. To meet the growing challenges, we recommend working with an experienced digital agency. This gives companies a competent partner to choose the perfect channel for their market entry and to master technical challenges, such as the adaptation of interfaces. Still not sure if you should bet on your own localised version of your online shop right from the start – or rather test marketplaces like Amazon, eBay, Alibaba, or Tmall? 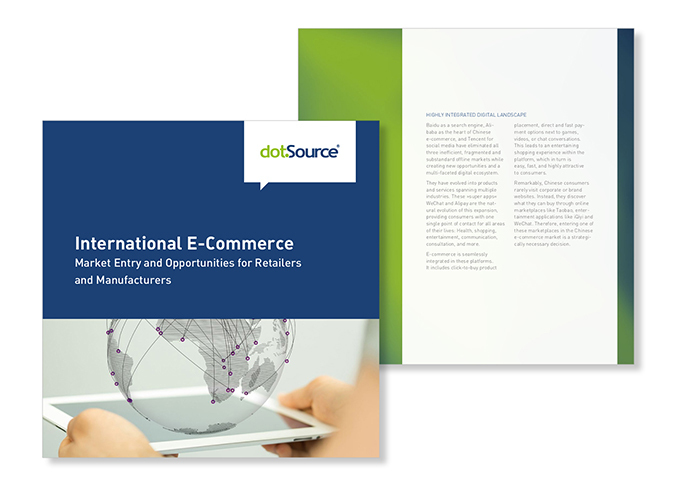 Our brand new white paper »International E-Commerce. 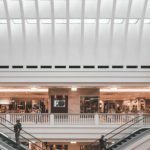 Market Entry and Opportunities for Retailers and Manufacturers« presents the basic factors for a successful international digital business on the basis of genuine use cases as well as up-to-date facts and figures. This gives retailers and manufacturers the perfect guide to getting started and optimising their own cross-border business. You can download the white paper here for free.